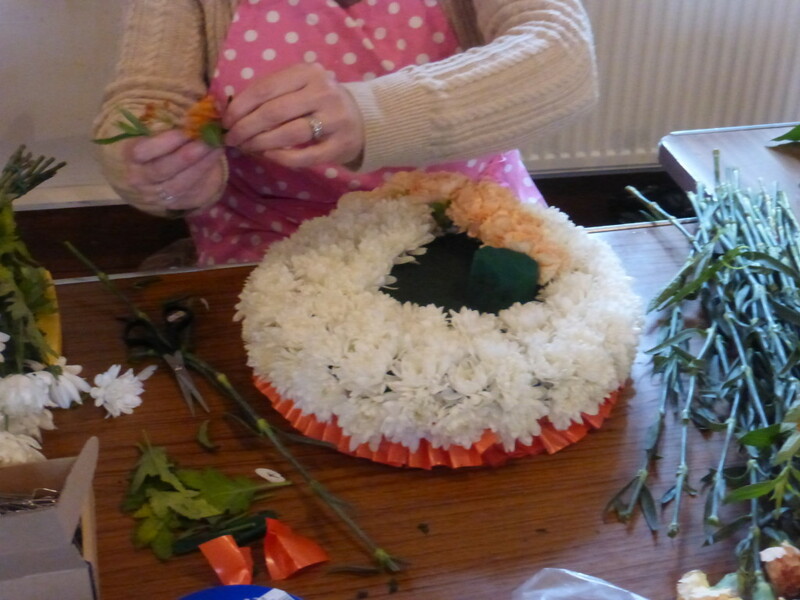 The Westwell Wednesday crowd have been meeting at the Parish Hall in Westwell to develop their floristry skills. 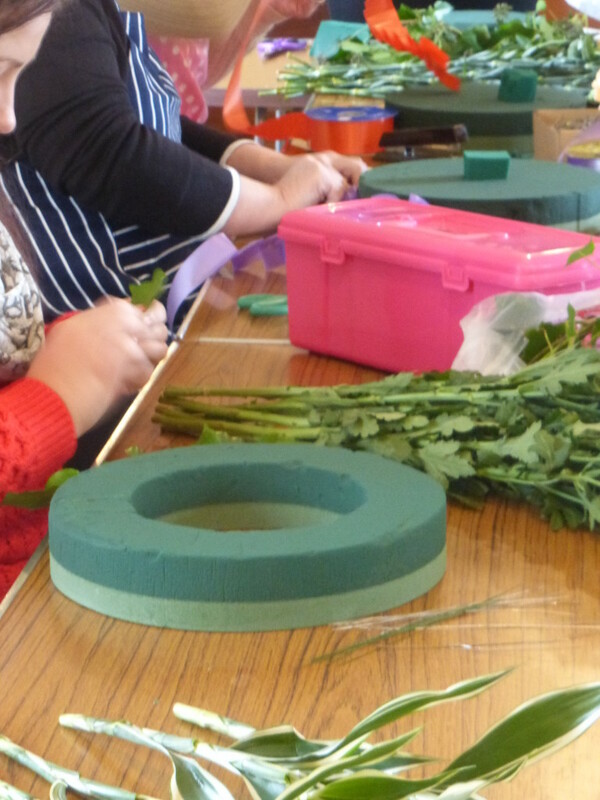 Some are flower arranging newbies and others have been taking a class with me for a term or two (or three or four). We’ve addressed these concerns by talking about how our arrangements can be adapted for enjoyment at home. 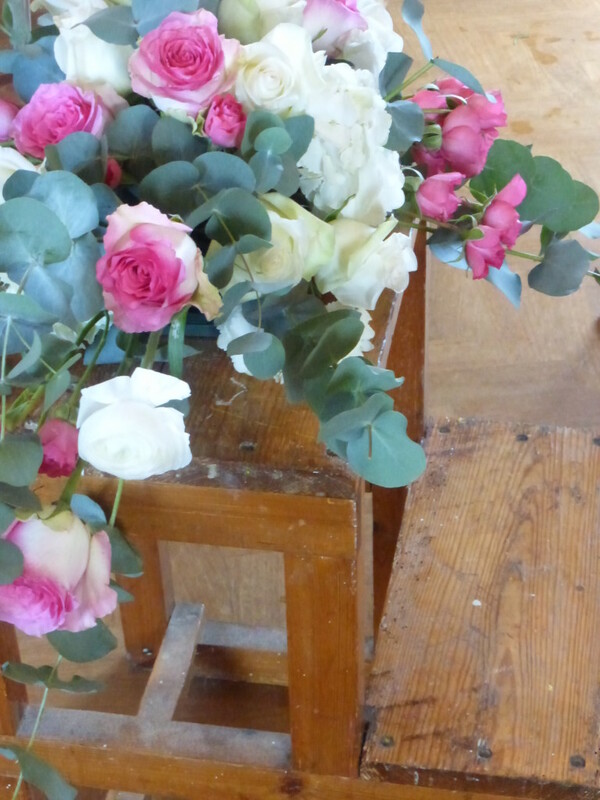 Taking five minutes at the end of class to look afresh at our designs has taught us that funeral flowers don’t need to be formulaic; they should fill our hearts with joy, befitting the memory of those we have loved.